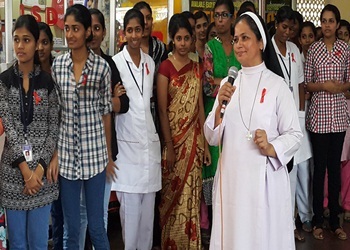 The World AIDS Day program was organised by the II Year B.Sc Nursing Students of Carmel College of Nursing, Chunangamvely, Aluva on 01 December 2016 in the premises of Alwaye Railway Station. 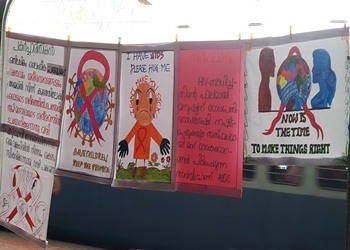 The different aspects of the HIV /AIDS were depicted through Role Play, Charts & Posters. The hands own experiences of a HIV Positive person and his magic show was the real highlight of the day. 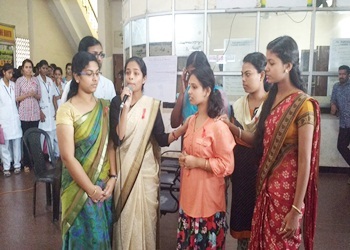 The HIV Positive male shared his experience to the public about the issues that he faces in living with the disease. 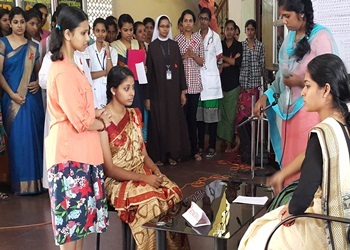 The person is supported by the Chavara Inspire Charitable Society. The Vice Principal of the college, Sr. Little Therese shared her views about the empowerment and support that are to be given to the HIV affected individuals. The response of the Railway Authorities and the public were beyond words.